It has been a long time since a former Australian diplomat has produced a work of this kind. Before the appearance of Allan Gyngell’s Fear of Abandonment, one would have to go back to Alan Watt’s The Evolution of Australian Foreign Policy (1967) to find a comparable treatment of Australia’s global engagement by one who has chiselled at the diplomatic coalface. This is not to overlook important memoirs by Richard Woolcott or Philip Flood, or miss the significance of Gareth Evans and Bruce Grant’s Australia’s Foreign Relations in the World of the 1990s, a landmark work that attempted to divine the meaning of the post-Cold War world for Canberra. But the point remains: unlike their British or American counterparts, Australia’s ex-diplomats have only occasionally taken up the challenge of writing history. Gyngell brings a unique set of perspectives to this task. A historian by training, he was part of the now famous class of 1969, an intake into the then Department of External Affairs that included the cream of the future commonwealth public service: Dennis Richardson, John Dauth, Bill Farmer, Ric Smith and Sandy Hollway among them. Gyngell served at Australian embassies in Washington and Southeast Asia, headed the international division of the Prime Minister’s Department and then became the senior foreign policy adviser to Paul Keating. After six years as the founding executive director of the Lowy Institute for International Policy, he returned to government as director-general of the Office of National Assessments, Australia’s peak intelligence agency. He has witnessed the making of Australian foreign policy from both the outside in and the inside out. The result, Fear of Abandonment, is a compelling history of Australia’s place in the world from the fall of Singapore in 1942 to the present day. Gyngell’s work is a patient and methodical synthesis of how Australians have looked out on the world: their perspectives and problems; the policies they crafted; and pen portraits of the personalities — prime ministers and foreign ministers — whose job it was to prosecute the national interest. Gyngell’s work could not be better timed. Words such as ‘‘anxiety’’, ‘‘uncertainty’’ or ‘‘volatility’’ seem to drip from the tongues of the country’s strategic analysts, not to mention its leaders. Exacerbated by the rise of Donald Trump and the populist surge across Europe, there is an alarming tendency to assume the present circumstances are the most demanding Australians have yet faced. No one doubts the scale of the challenges roiling world politics, but that is no reason to be ignorant of how previous generations of policymakers have attempted to deal with seismic shifts in the international landscape. There is the tendency for the present debate to lurch from the pretentiousness of grand theorising to the witlessness of the ad hoc: judgments hostage to the moment alone. This book is therefore a welcome corrective to what Owen Harries once called the ‘‘parochialism of the present’’. Gyngell has an important message for today’s policymakers: he has produced a work that is ‘‘prologue, not prediction’’. Its purpose is not to respond to the latest hypothesis about Australia’s foreign policy but to provide the tools to better understand the context from which the present has emerged. At the outset he quotes the high priest of American realism, George Kennan: ‘‘our vision of contemporary events, unaided by history’’ is but a ‘‘feeble lantern’’. Gyngell’s sources are rich, his reading deep, the judgments finely balanced and the arguments robust. He sets Australian foreign policy against the backdrop of the great movements in 20th-century history — from decolonisation and the rise of Asian nationalism to the breakdown of the rigid bipolarity of the Cold War; from the euphoria that greeted the collapse of communism in Eastern Europe to the fears and phobias of the national security decade in the late 1990s. Finally, he faces up to the fragmentation of recent times. But the central theme of the book is that the prospect of abandonment by one or both of its great and powerful friends, Britain and the US, while unsettling for Australia, has nevertheless prompted an activist foreign policy. Isolationism has never been an option for Canberra. As Gyngell shows, Australia has sought the protection of its British and American allies and contributed substantially to the preservation of the liberal international order, but its relationship with the countries and cultures of Asia has always been the most urgent problem. 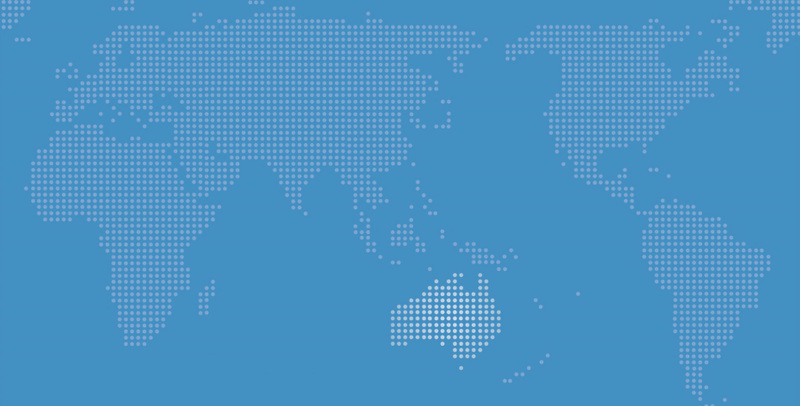 Geopolitical anxiety has been the mainstay of Australian foreign policy. Long before the fall of Singapore, politicians in the colonies and later the Commonwealth chafed against British indifference to their concerns about security in the Pacific. That outlook on the region brought both successes and failures, especially during the Cold War years. Thus for the most part Australia managed relations with Jakarta successfully, supporting its independence from the Dutch. And yet politicians and policymakers failed to understand the dynamics of Asian nationalism, a misreading that saw them actively press the US into the quagmire of Vietnam. Australia’s Cold War policy, as Gyngell shows, was to keep the US and Britain engaged in Southeast Asia. Policymakers in this era certainly had their fair share of frustrations with the great powers, Canberra constantly fearing that its protectors would play fast and loose with Australia’s distinctive interests. And while Australia did not hesitate to express its disagreements with its great allies, at times — a sense of shock and betrayal attended the reaction to Britain’s ambitions to join the European Economic Community in the early 1960s — Canberra’s behaviour could be what Gyngell terms ‘‘graceless and self-absorbed’’. There was a reluctance to face up to a world without Britain. When Richard Nixon announced his Guam doctrine in 1969, the collapse of Australia’s Cold war stance was all but complete. As Gough Whitlam put it, it was time to ‘‘clear away the rubble’’: the country’s foreign policy needed a ‘‘fresh start’’. Gyngell transcends the partisan narratives and ‘‘origin stories’’ that have so often coloured the historical debate: the myth, for example, that Labor politicians were the only true liberal internationalists while their opponents were slavishly craven to Washington and London. He has no time for these simplistic treatments of Australia’s foreign policy past. So he praises the achievements of Robert Menzies and his successors, particularly their patient creation of Australia’s diplomatic machinery, the cultivation of close relations with Asia, especially Japan, and the deft handling of relations with Jakarta through the tensions over Western New Guinea and the Confrontation. Equally he is not blind to the fact that by 1972 the Liberal-Country Party coalition had been unable to reassess old orthodoxies in the light of rapidly changing circumstances, most notably the American rapprochement with China. As a consequence, Australians ‘‘found themselves trapped in a policy cul-de-sac from which the only way of escape was to abandon the very arguments that had put them there’’. Whitlam himself recognised that many of the forces that allowed him greater freedom of policy movement were already in play before he came to power. With the progressive modification and eventual abandonment of the White Australia policy, a process begun by Harold Holt, and with the qualification of some of the rigidities of Cold War bipolarity, Whitlam set about to reset the co-ordinates of Australia’s international stance. Britain and the US were to be referred to as ‘‘foreign’’ countries, but once again the more pressing task was to find a new acceptance in Asia and a new feeling of belonging. Whitlam’s proposal for new regional architecture, though somewhat woolly, prefigured subsequent attempts at the same end by Evans, Keating, Bob Hawke and Kevin Rudd. Malcolm Fraser, too, was a realist, and kept faith with the new direction in Australian foreign policy. He also sought new regional arrangements: in his case a quadrilateral pact with the US, Japan and China that would seek to contain the Soviet bear. The demarche came to nothing, but the point was that an Australian government had sought to create a grouping without first consulting Washington. That quest for Asian belonging became something of an obsession for Australian diplomacy. Even in the mid-80s, the head of the newly formed Department of Foreign Affairs and Trade, Stuart Harris, could confess that Australia was an ‘‘isolated country in the sense that there is a lack of regional links — there is no region or grouping to which we belong naturally — and no easy alliances that are of immediate use to us’’. The remarks testified to Australia’s need to find a regional bloc of its own, a search ultimately realised in Hawke’s 1989 proposal for the creation of APEC, and later in John Howard’s securing of a seat for Australia at the ASEAN+3 summit in 2004 and the East Asia Summit the following year. The quest for a more lasting place in the region from the 70s also brought new challenges: just when both parties committed to the cause of comprehensive engagement with Asia, the human rights agenda added complexities to that task. Whitlam has been criticised for acquiescing too readily in the Indonesian incorporation of East Timor. But appeasement in this case, as the John Hirst so persuasively argued, was eminently defensible: Whitlam did not want another Western New Guinea type crisis to sour the relationship at so crucial a moment. He knew that Indonesia was the key to Australia’s acceptance in Asia. At times, some countries resisted Australia’s regional ambitions, most notably Malaysia’s Mahathir Mohamad. At others, the tireless diplomacy of senior diplomats delivered lasting solutions to diabolical policy dilemmas. DFAT deputy secretary Michael Costello’s herculean shuttle diplomacy (30 meetings in 13 countries over 20 days) helped to ensure the Cambodia peace settlement became Canberra’s ‘‘most significant contribution to resolving a regional problem since involvement in the Indonesian independence struggle forty years earlier’’. Gyngell reveals that China did not even figure in Keating’s top foreign policy priorities, but by October 2003 — a month during which, extraordinarily, US president George W. Bush and Chinese president Hu Jintao addressed the federal parliament on consecutive days — the debate had shifted to how Australia would balance the rise of the Asian giant alongside its longstanding security arrangement with Washington. Those speeches symbolised the two sides of the Howard doctrine, but the alliance with the US was based on history and values, while the relationship with China was a pragmatic conjunction of economic interests. The scale and pace of global change acquired greater intensity as Australia entered what Gyngell calls its national security decade. But by this time governments faced a raft of different challenges: the advent of Islamic terrorism, global warming and the human flotsam and jetsam tossed about by the waves of globalisation: asylum-seekers. Closer to home, Howard’s emergence as a national security leader was tested — and proven — in the cauldron of the East Timor crisis in 1999. That policy success, however, also brought with it a certain boasting: Howard talked of ‘‘home truths’’ and said it proved Australia did not have to change to successfully engage with Asia — it had simply got on ‘‘with the job of being ourselves in the region’’. But the rhetorical waters were muddied when he failed to refute a journalist’s comment that Australia had become a kind of ‘‘deputy’’ to the US in Asia. On the 2003 invasion of Iraq, Gyngell does not pull his punches. The Howard government did not follow the US into Iraq ‘‘blindly’’, but it did so ‘‘unthoughtfully’’: the intelligence on Saddam Hussein’s weapons of mass destruction was faulty enough, but the ‘‘greater failure had come with the analytical processes that drew the intelligence together and the policy decisions that followed’’. It is worth recalling that the only distinctively Australian argument Howard marshalled for sending troops into that conflict was the alliance with the US. But he and foreign minister Alexander Downer were convinced that Australia’s ‘‘vital interests’’ were now as much focused on the Middle East as on East Asia. Downer even made the neoconservative rhetoric his own during a 2005 speech, judging that developments in Afghanistan and the broader Middle East constituted ‘‘another powerful reminder that freedom is the most contagious idea in history’’. Gyngell is alive to the precarious situation in which Australia now finds itself: his conclusion is that the age of ambiguity and ambivalence — being able to balance the US alliance with an economic relationship with China — is ‘‘fast drawing to a close’’. Adding to the challenge, the policy community now faces a public more sceptical of elite foreign policy views. The churn in political leadership hardly helps. New arguments and new narratives will need to found. Those, alas, are not yet coming from the present Foreign Minister — Gyngell says Julie Bishop is not a ‘‘conceptual thinker’’ – or Prime Minister, but nor did they come from Rudd, Julia Gillard or Tony Abbott. The shaping of this new framework now appears to be an urgent task. Gyngell’s finely paced and comprehensive account will be a necessary accompaniment to that process.